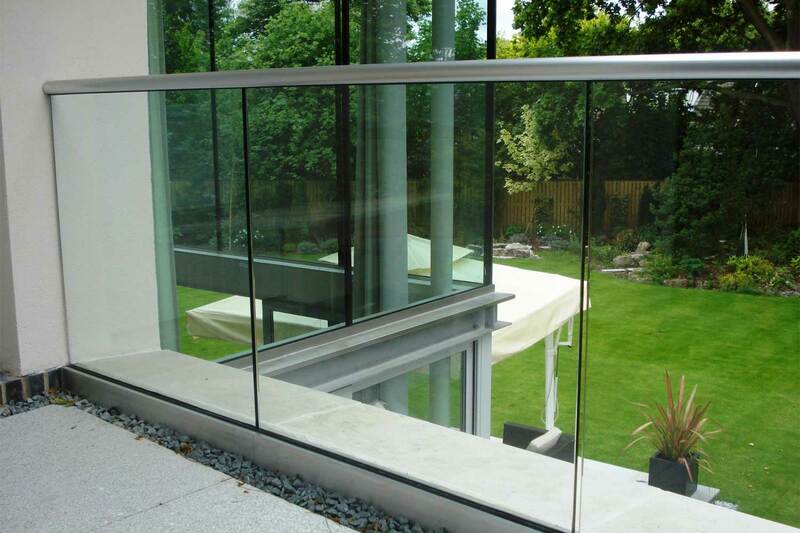 Our Clearline structural glass and Elan semi-structural glass balustrade provide the ultimate in minimalist style without compromising the strength, durability and performance which characterise all Neaco balustrade systems. Available with a Lifetime Guarantee. 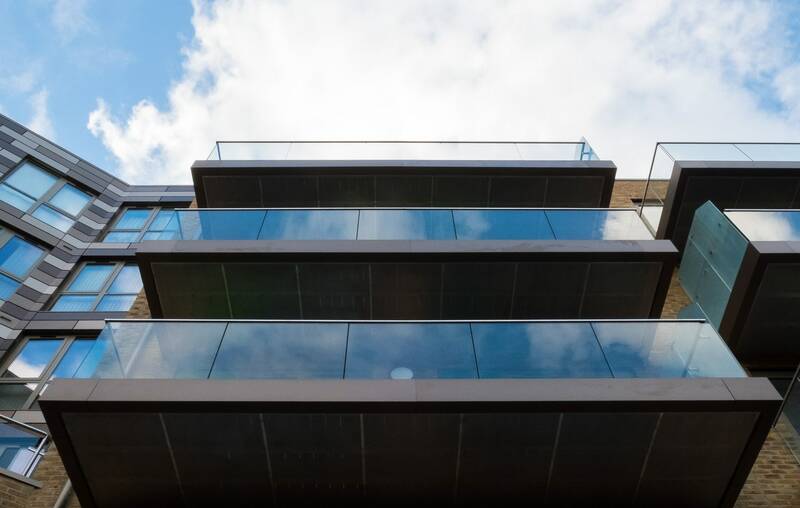 Also suitable for use as balconies, Clearline and Elan provide a high-aesthetic solution combining smooth, clean lines with maximum visibility and the durability to cope with high traffic areas. 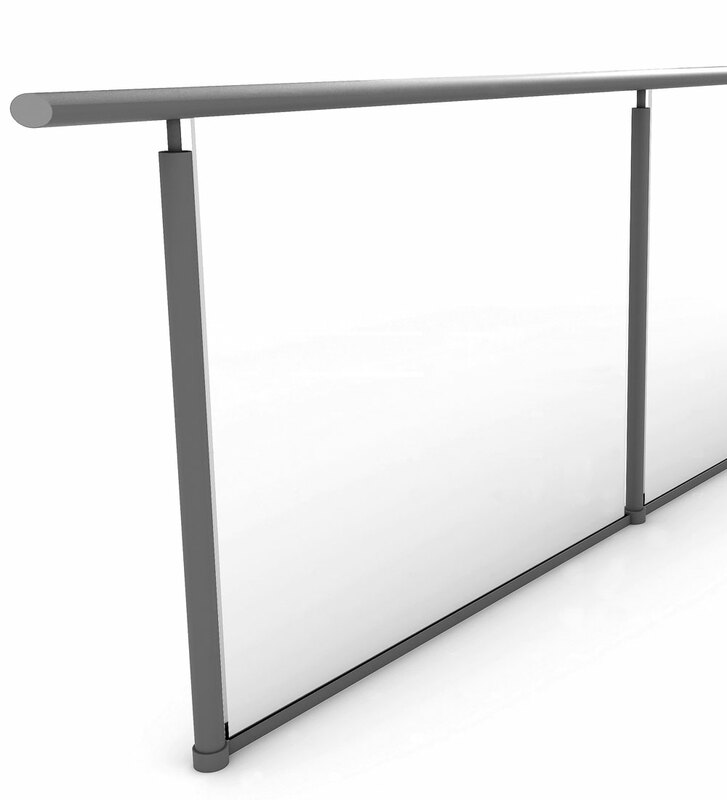 Clearline requires no supporting uprights. 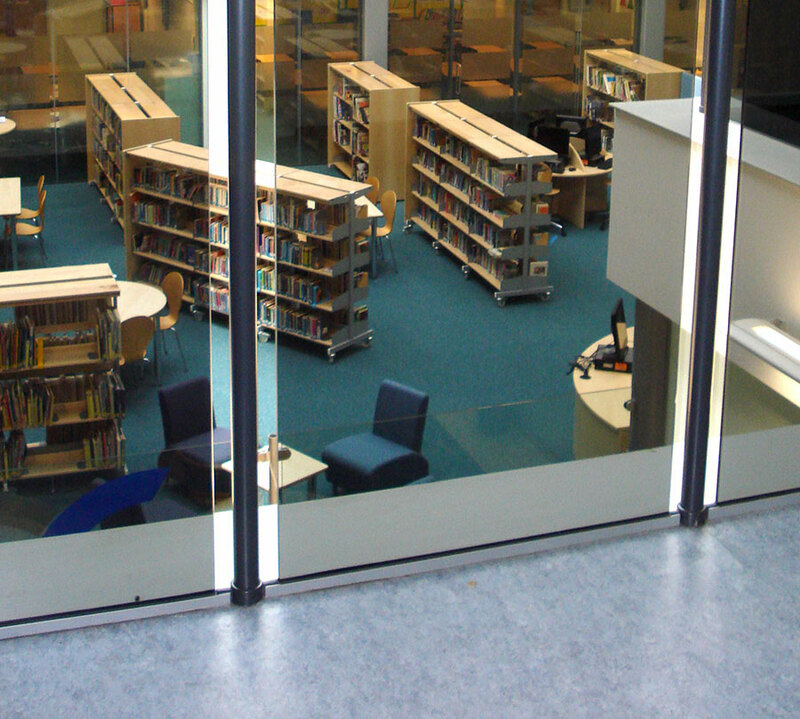 Continuous structural glass is fixed in place by aluminium floor channels with integrated rubber seals which insulate the structural glass and eliminate the need for the more traditional messy mastic detail. The glass is toughened in accordance with BS EN12600 class 1 with options including tints, colouring, etching and applied emblems/logos. 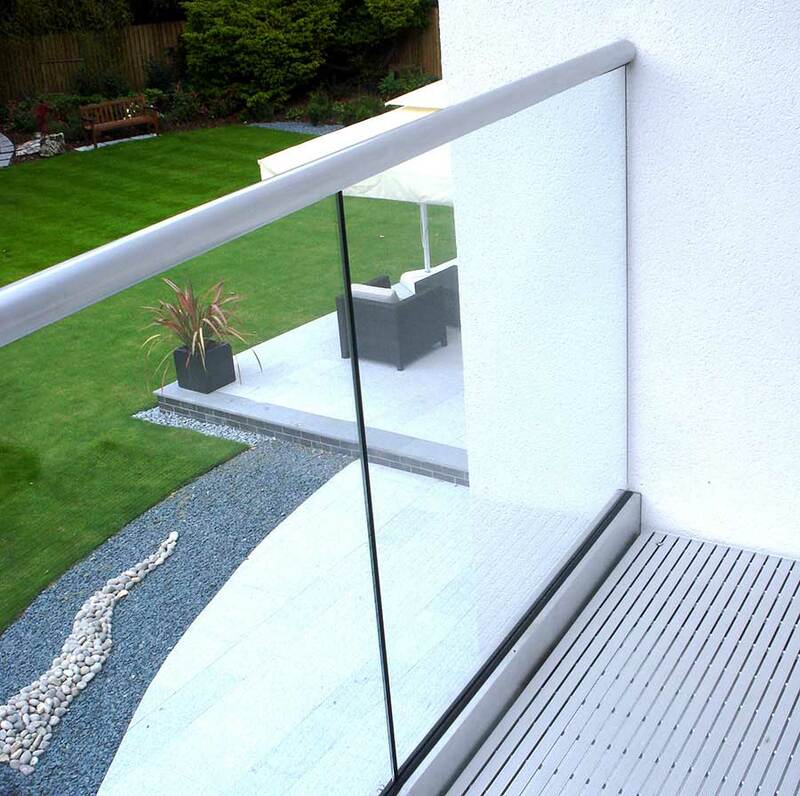 Elan is a stylish, minimalist alternative to traditional balustrade in non-raked installations. 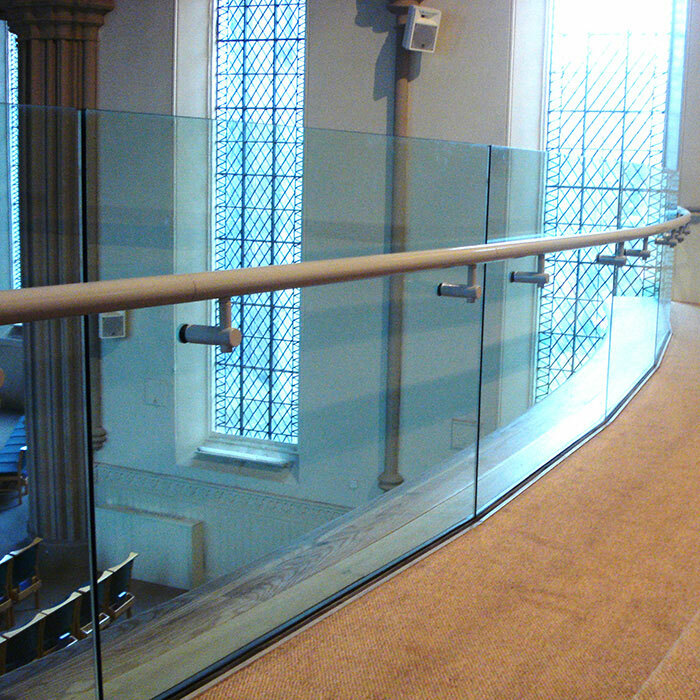 Most balustrade designs secure glass infill panels in place by attaching them to the stanchions with a clip, but Elan's glass panels are secured by a top rail above and a subtle floor channel below. 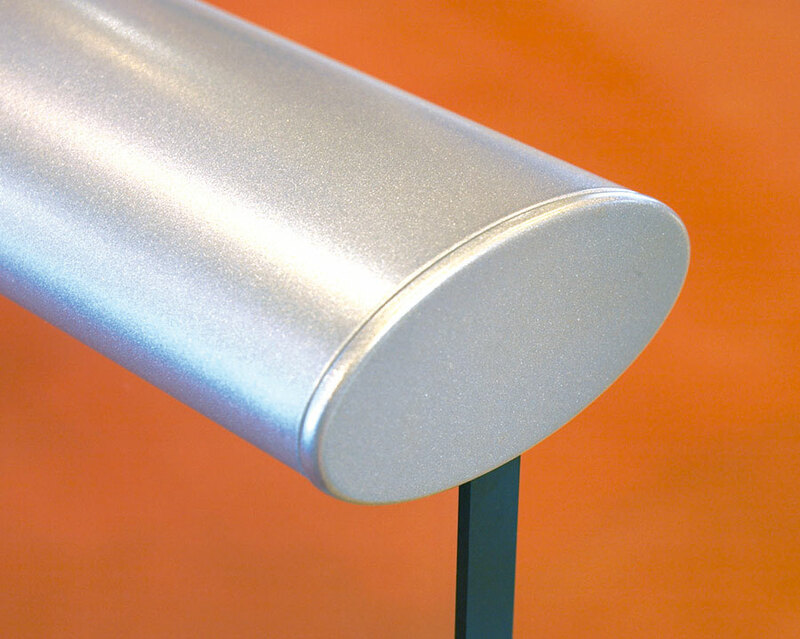 The result is a sleek appearance, an economical use of materials and an easy-to-install solution. 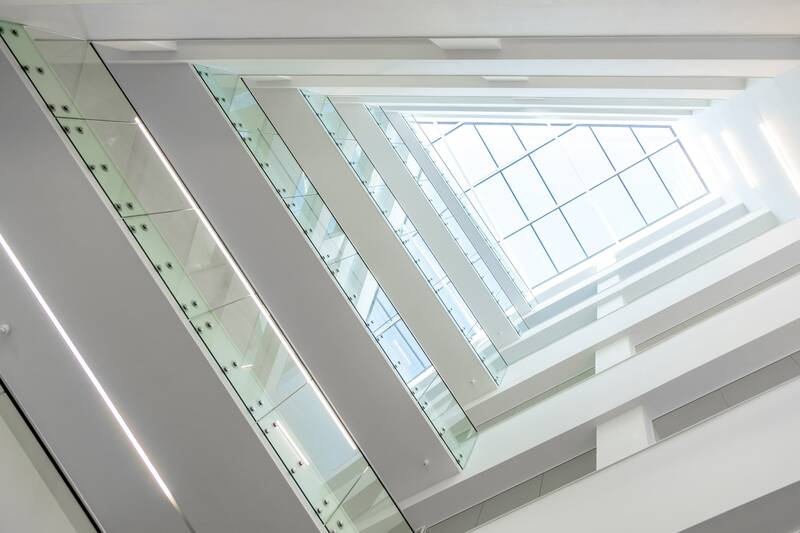 Suitable for both external and internal use, Clearline glass is toughened and can be specified as clear or tinted grey, bronze, green or blue with the option of acid etching or an applied emblem/logo. 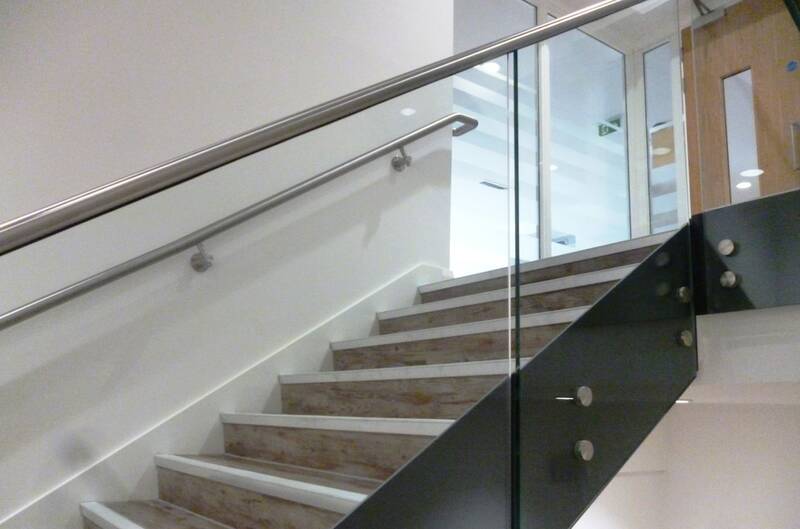 Clearline is ideal for buildings likely to be used by children, where safety on staircases and landings is paramount, as it is very difficult for children to climb and there are no gaps to pass through. 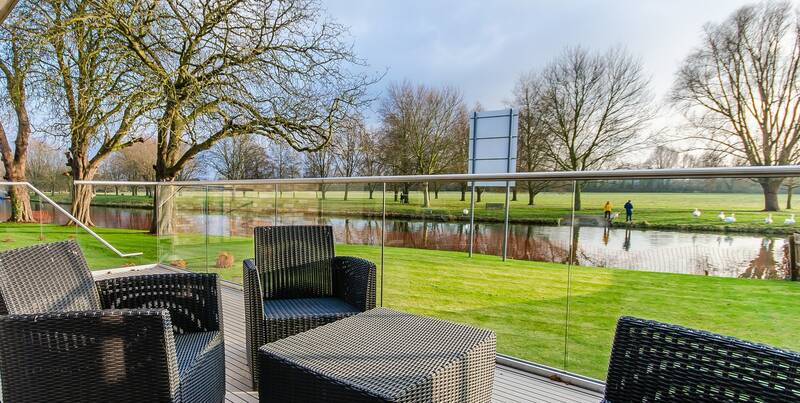 As well as providing attractive looks, Elan semi-structural glass enables fast, easy installation with minimal fuss. 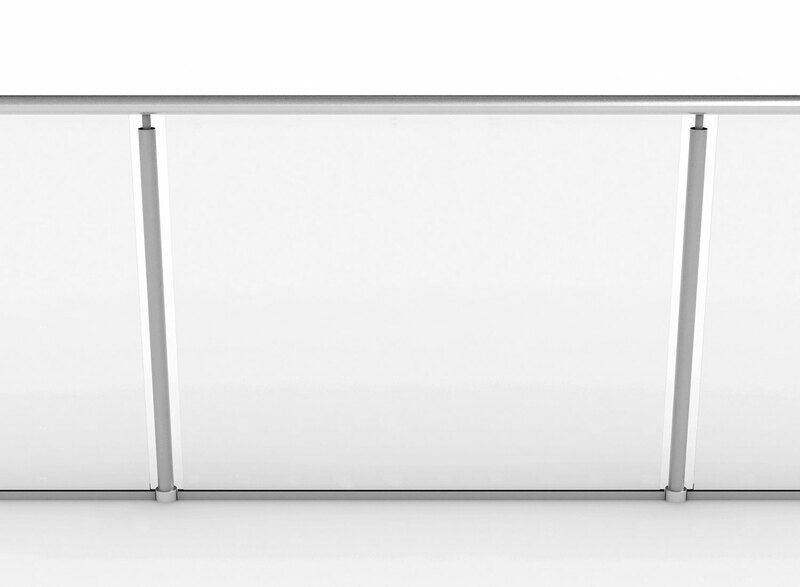 The Elan glass is toughened and options include tinting and applied emblem/logo or graphics. 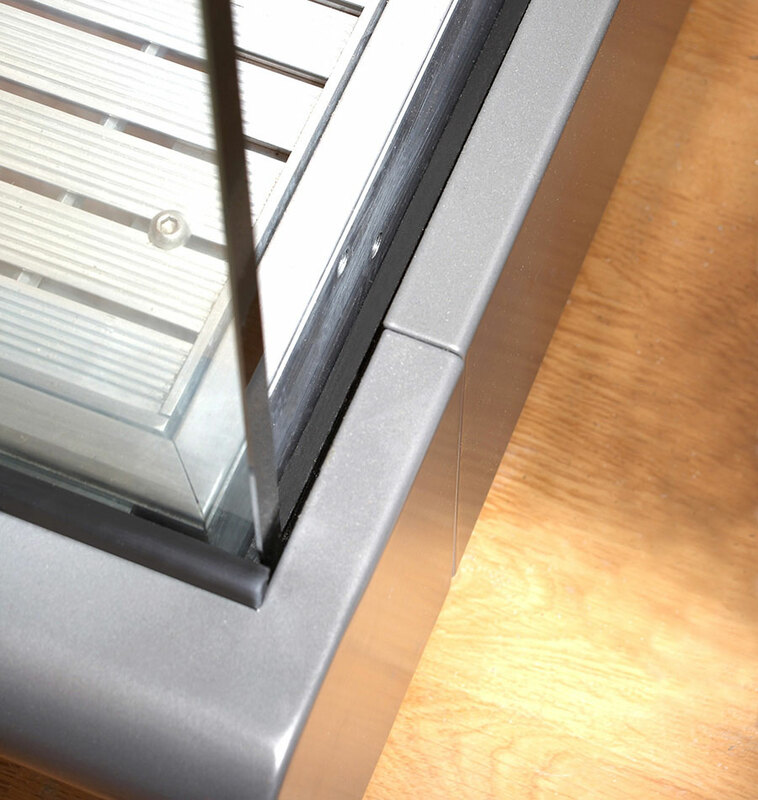 The integrated rubber seal is pictured here, within the floor channel. It insulates the structural glass. The Elan floor channel is very subtle in appearance. 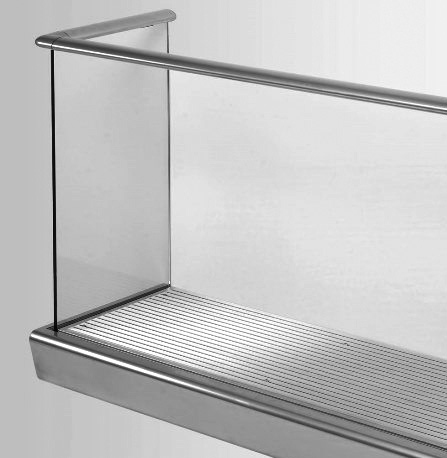 With no gaps between glass and floor, it is an ideal specification for mezzanine installations, as dropped items such as coins are prevented from falling over the edge. 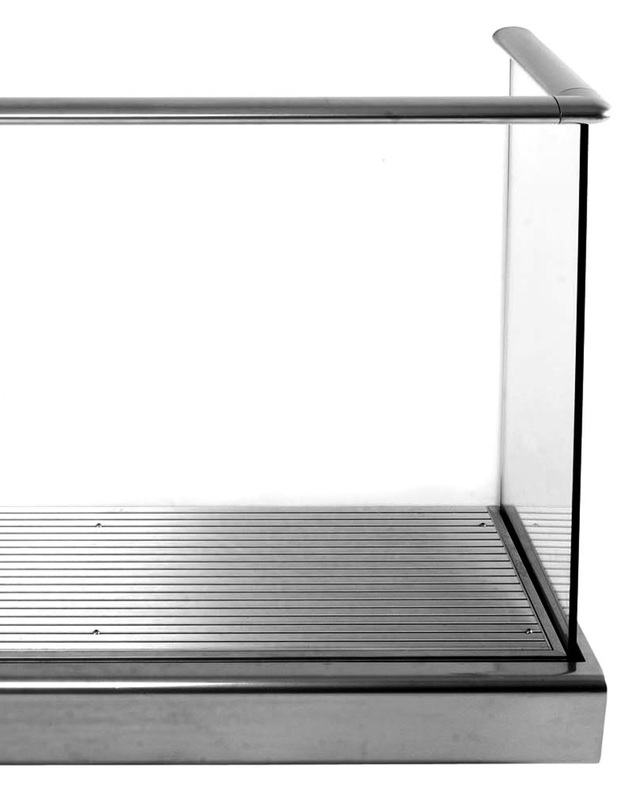 Our structural glass is now available with fabric or mesh inserts. 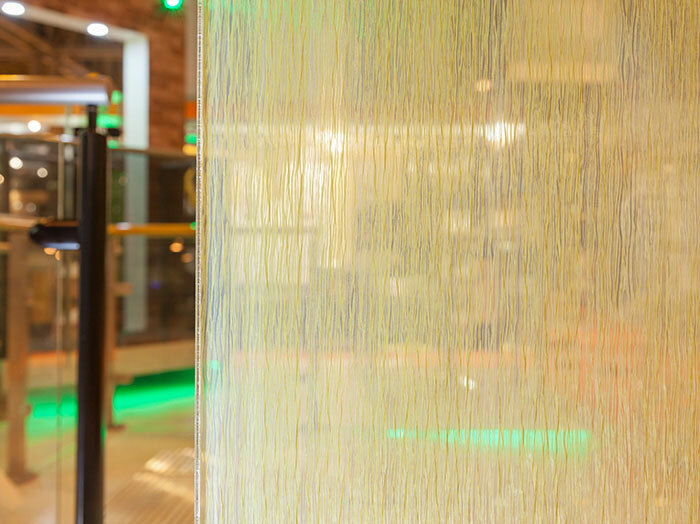 We offer a wide variety of textile patterns which can add colour, texture and style to design schemes.